Some dogs are guard dogs, and some dogs are greet dogs. These dogs are just popping in to say "Hi!" 1. "Hey, you're not busy right now, are you?" 2. "I brought you a leaf!" 3. "Greetings, fellow traveler. Whatcha got there?" 4. So many new friends! 5. "Hello, is this dog?" 6. "You missed me the most, right?" 7. It's good to get in some FaceTime. 8. "Hello, human! Are we doing a yoga? I will help." 10. 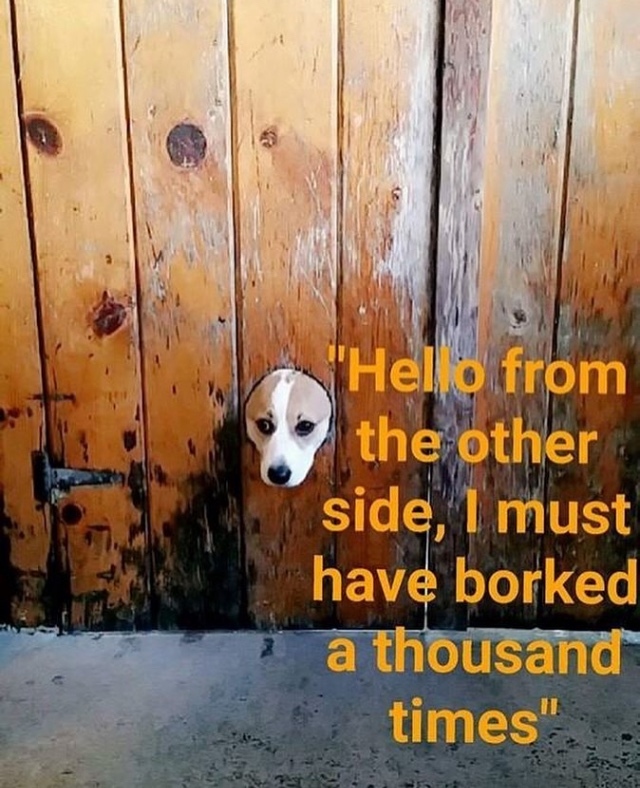 Hello ... Is it dog you're looking for? 11. "Heeeey, buddy. How's it going ...?" 12. Water dog wants to say hello to land dog. 13. These dogs are going to say hello and then ask you to solve three riddles. 14. "Hey, neighbor! Just passing by and noticed your wall was open." 18. "You've been in there a while. We just wanted to make sure everything's okay." 19. "Hello! How may I help you?" 20. There might be a little bit of a language barrier here. 22. "I assure you, sir, the pleasure is all mine!"